"Planned Parenthood Kept Me in the Dark on My Abortion"
♦ Plus free concert with Eric Genuis! I didn’t want a baby so I had a solution…abortion. I had already had one abortion and it was easy. Surely, this time it would be the same. Instead of a surgical abortion, I thought this time I would choose a more “natural” way to abort…the medication abortion. *Editor's note: Please be advised, the remainder of this article contains a graphic description of a chemical abortion. Come learn about YFL's upcoming trip to our state capital. YFL will join thousands of other pro-life Texans in the annual Texas Rally for Life in Austin on January 28, 2012. This trip for grades 8-12 will be January 27-29 (does not coincide with the Dallas March for Life with Bishop Farrell the prior weekend). The Fall 2011 40 Days for Life-Dallas Vigil continues 24 hours a day, 7 days a week outside the Southwestern late-term abortion center through 11:59 p.m. Sunday, November 6. We praise God that more than 4,000 prayer volunteers have already come out to pray fervently for life through the first 700 hours of the campaign. If you haven't had a chance to come out to pray yet, there are still 10 days to go. Please come out and pray for an end to the killing of the precious unborn! We also invite you to join us for our Closing Rally to celebrate the miraculous blessings we have experienced during these 40 Days, including 20 lives confirmed saved from abortion at the vigil location so far!! Celebrate Birth Choice of Dallas' First "Family Fun Day." Barbecue catered by Dickey's Bar-B-Que; entertainment provided by "Behan Brothers' Band" (Best Irish band in town!). Day will also include Bingo (cash prizes); Christmas Gifts Bazaar, face painting and more. 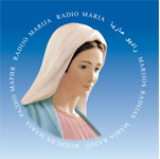 Tune in Friday, Oct. 28, at 1 p.m. to "Spirit & Truth Live" on Radio Maria to hear the interview of CPLC Executive Director Karen Garnett concerning pro-life ministry and developments in Texas. 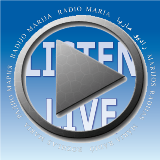 Click here to listen live. Request for the cashier to scan your Kroger Plus card and then the barcode at the bottom of the customer letter to link to the CPLC. 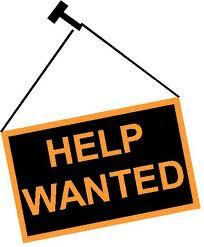 Once the process is complete, you will be enrolled as a supporter for the remainder of the current program year. 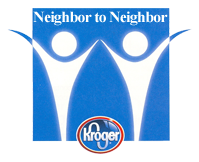 Every time you shop at Kroger, a portion of your eligible purchases will be contributed to the CPLC’s Neighbor to Neighbor fund and in turn support our nine life-saving ministries. It’s that easy!